If you are without support during a pending divorce case, you may wish to get relief by order of temporary relief. There are many types of relief that you can request from Florida courts during a pending divorce case such as temporary custody, child support, visitation or timeshare and temporary alimony to assist you with expenses for yourself and/or your children. Additionally, if you have experienced violence against yourself or your children, you can file a temporary injunction against domestic violence or ask for a restraining order. A restraining order can prevent the offending spouse from removing the children from the home and establish boundaries. You may also obtain an order that prevents the opposition from hiding or dissipating assets. You can also wish to ask for temporary attorney fees to assist you to retain a divorce or family law attorney who will litigate your divorce case in family court. 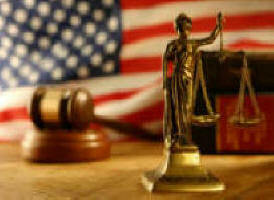 Family mediation will most likely be required by the courts prior to obtaining a hearing on these matters. Attorney NIlo J. Sanchez and Associates will provide you with the best legal defense in your divorce case and places the best interest of your future and your family’s future at the forefront. We specialize in handling divorce cases and family law and have been litigating in Florida family courts for approximately 23 years. Please call us today at (813) 879-4600 for a consultation or click on the links below for additional information about our Tampa Family Law firm. 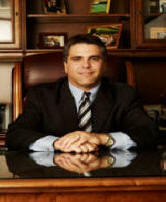 "I have used several attorneys in Tampa, FL which in my humble opinion, have not acted in the most ethical of manners. However, I have been extremely pleased in the fashion in which Nilo Sanchez and his fantastic staff handled my divorce, which involved a very aggressive opposing counsel and ludicrous request for alimony, considering no children were involved. I certainly endorse and recommend his services due to his exceptional attention to detail, listening skills, knowledge of the law and a truly caring staff. He has handled a couple of my cases insofar, with great success. He is the only attorney I will secure in the future for any legal matters. In my book he is #1 in Tampa and the extended metropolitan area."